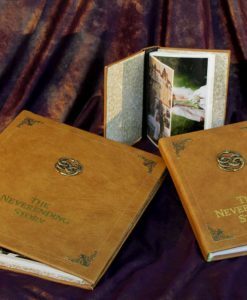 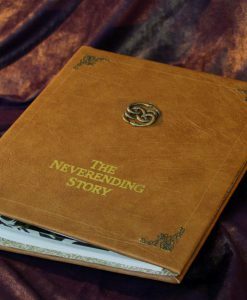 If you’re looking for that special touch to showcase or tell your very own Neverending Story, we’ve got just the thing for you! 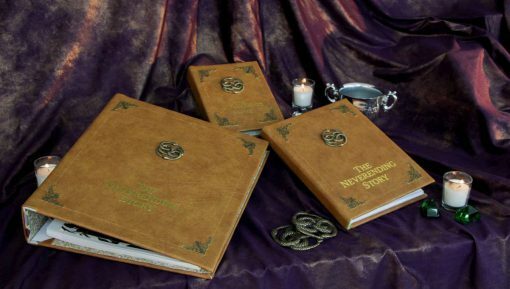 Handcrafted from fine faux leather (vegan friendly! 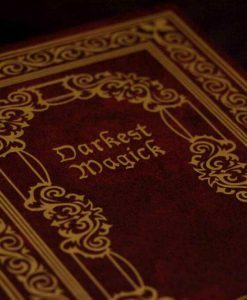 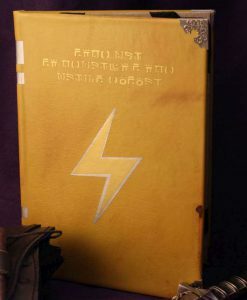 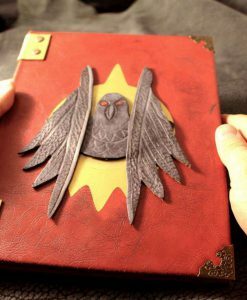 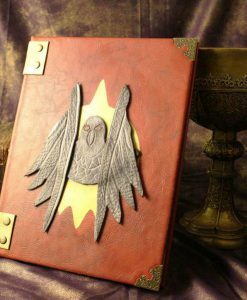 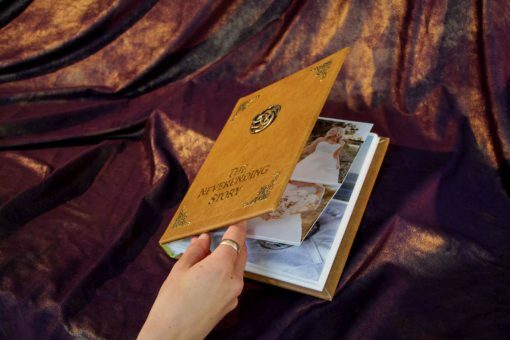 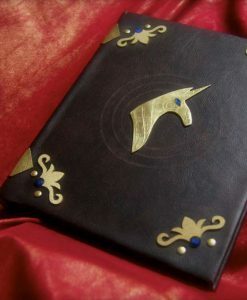 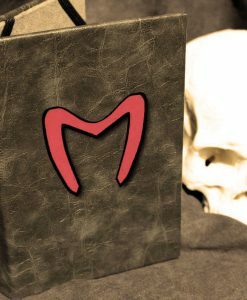 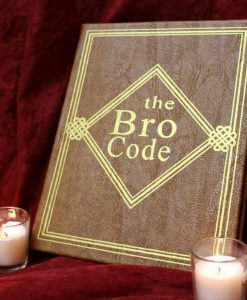 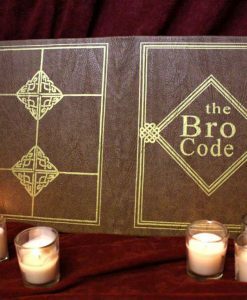 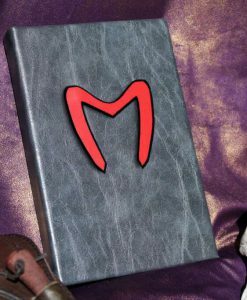 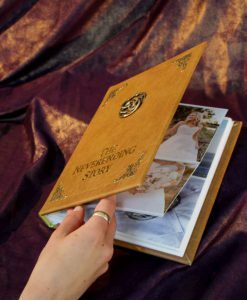 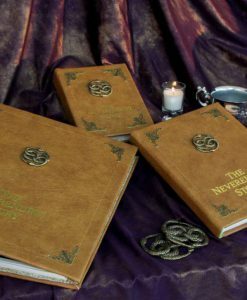 ), bound with filigree, stamped in gold lettering, and sealed with an Auryn, this timeless binding is perfect as a guest book, as a guest registry, as a photo album, wedding album, scrapbook, or a sketchbook, for those wanting to record and revisit their own stories in life. 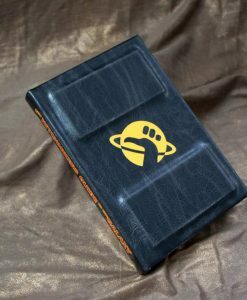 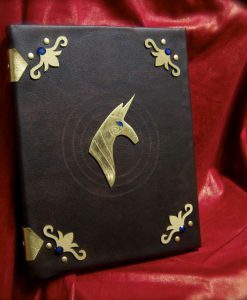 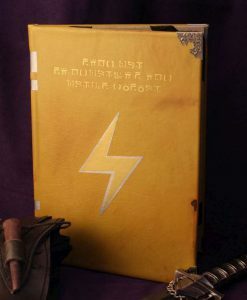 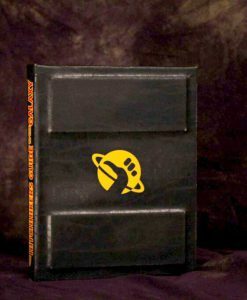 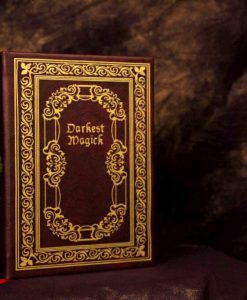 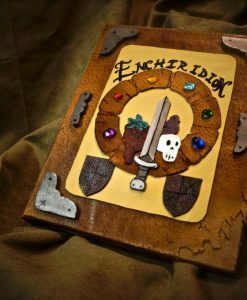 Bring back the nostalgic moments of luck dragons, of Atreyu and Falcor, of noble warriors, and epic quests, and antagonizing Nothings, and the promise of what the power of imagination can bring as you create your own tale to go inside. 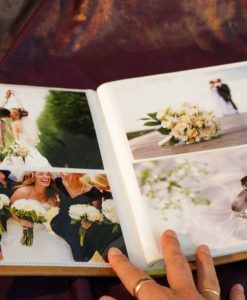 Available as a large photo album (12″ wide x 10 3/4″ long), a small photo album (5 x 7″) or as a blank, unlined guestbook / sketchbook (8.5 wide x 11 long”). 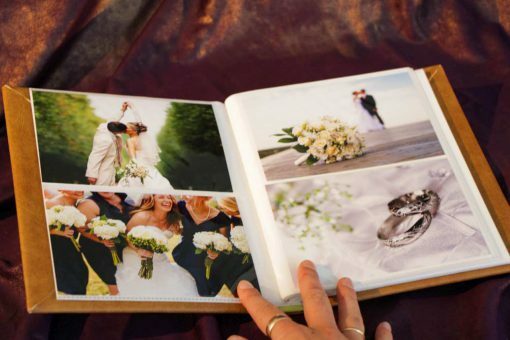 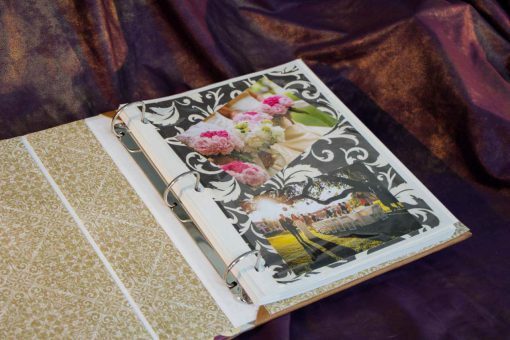 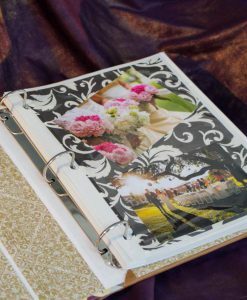 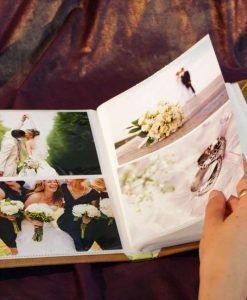 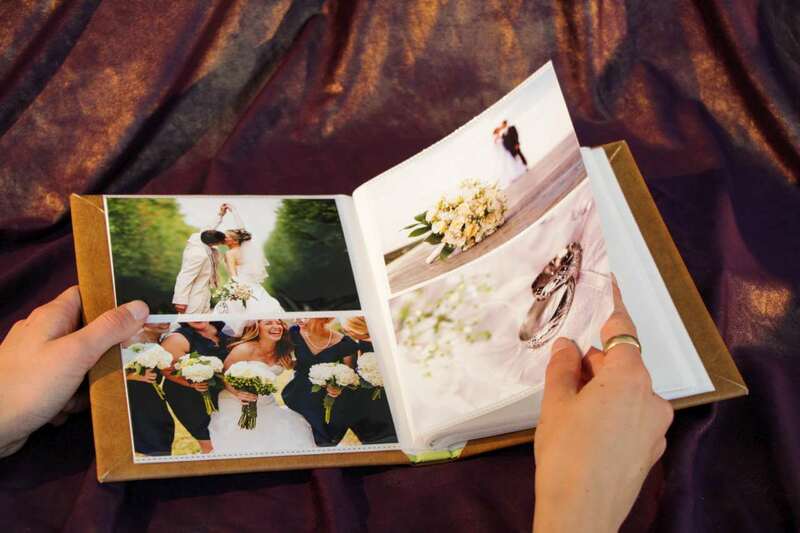 The photo albums come with multiple pages for putting in your photos, scrapbooking memories, or keepsakes. Just specify in the order notes what you’d like it for and we can accommodate it! 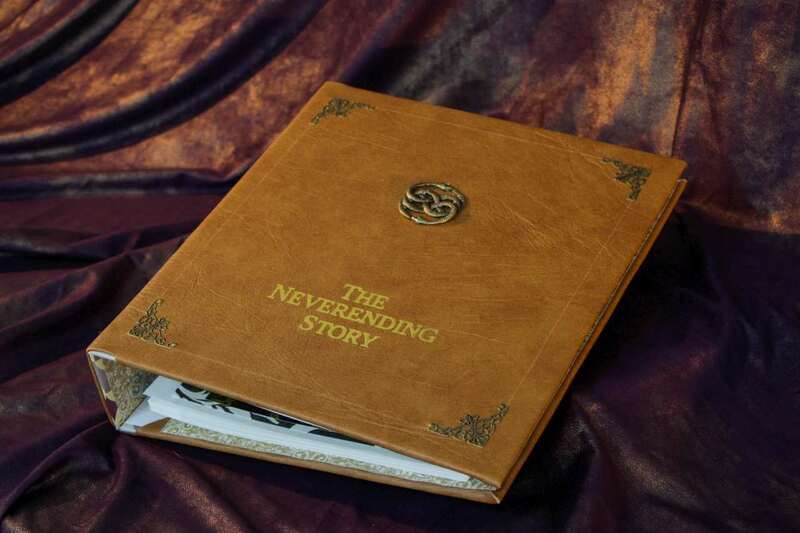 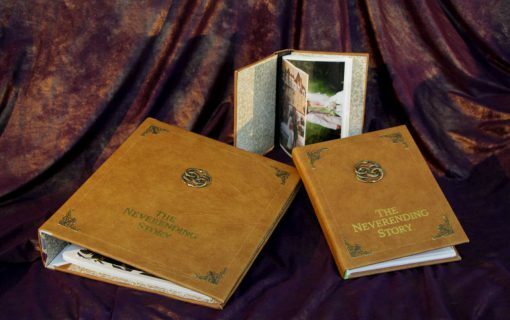 Check out our store – we also make Neverending Story eReader, iPad, and tablet covers!